Do you recall the mid-century inspired couture trilogy collections of Raf Simons for Jil Sander [the collections with which in my opinion Raf was auditioning for the creative direction at Christian Dior]? I remembered it just know again, while stumbling over this 50ties editorial of l'Officiel, featuring a beautiful Pierre Balmain ensemble with an all-over Paisley pattern [left]. 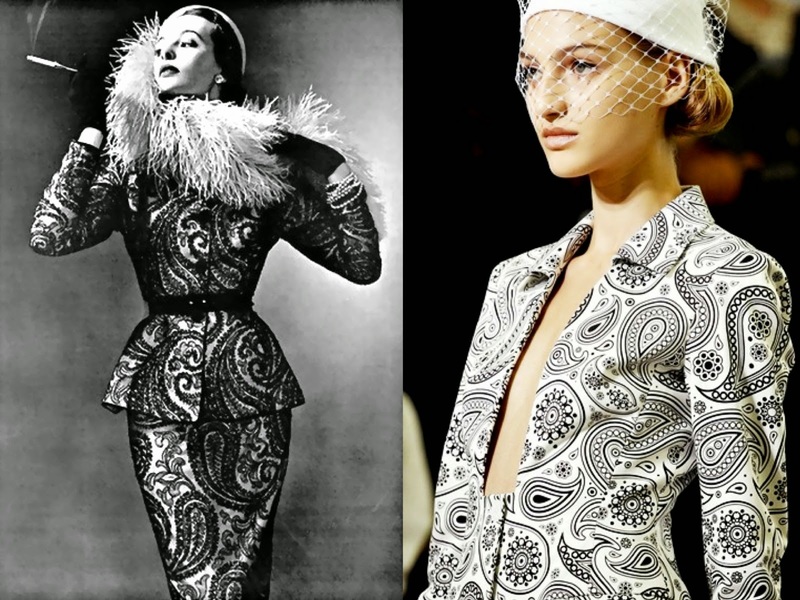 A similar result in retro elegance and allure, in addition to the similar pattern choice, could be found in the Jil Sander SS||2012 collection [right].